Abstraction is inherent in all modelling/design; we can't describe all aspects, and users only need to know interfaces (not internals). We use ADTs to provide a collection of operations; an abstraction of a real-world entity into update/query/creation operations (data representation irrelevant). In structured design top-level functions are decomposed into lower level functions, and the meaning of them is hence defined in terms of lower components. Hence top-level depends on lower-level. Lower-level is more likely to change, hence why we abstract away the details, making high-level less likely to change. Managing software dependencies is done through modularity. A software module groups related functionality (high cohesion) - strongly related services should be together so as to reduce dependencies, but unrelated services should be separated out to make it as clean as possible. By hiding information, utilising private/public (so clients only see public) and ensuring data is only accessed via methods we can make code cleaner. Ideally all objects are accessed via an Interface, rather than a Class. The point of implements and extends (and abstract - later) is to provide modularity and optimal code re-use, and implicit organisation/hierarchy within the types and subtypes. The type of an object being determined by the relationships between all the things it inherits, is called subtype polymorphism. Subclasses can override superclass methods (not fields) with their own code. Calling super() inside a function calls the superclass's version of that function and returns that, allowing it to be built upon (e.g. if you want to use that information, rather than directly replacing it). Super is also often used in subclass constructors, where a new supertype is all that is needed. For instance if a function takes in X x and calls x.method(), if there are subclasses of x we do not know exactly which code will be used for x.method(), as it is not fixed exactly what object type X is. To extract out common code, create an abstract class. For an interface that will have 50% of its methods implemented in the same way always, and the other 50% implemented differently depending on the implementation chosen, create an abstract class with the first 50%. 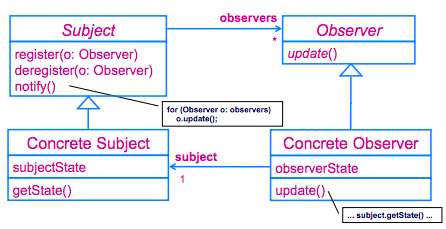 Using Java Modelling Language we can place restraints on allowable states of objects; e.g. a 'day' field must be from 1 to 31, for instance. Writing these in notation is good for standards, but we also need to implement these with asserts or exceptions in our code. Classes take no modifiers (abstract, static, etc) and have no return type (they're returning a new object). If no constructor is created then the default initialisation happens, with each field being initialised to its pre-set value, or defaults (e.g. 0, null). Each class needs its own constructor (or defaults to null) - it does not inherit from a superclass. It can call this(args) to reference another of its own constructors, or super(args) to reference its superclass's (but only if these are called as the first line of the constructor). If this() is called, do a new constructor call. Else call the super constructor (this is called implicitly if no constructor, or if a constructor doesn't explicitly call super). Static means that it cannot directly refer to a "this" instance of the surrounding class. Inner classes (a class declared within another class) are associated with an instance of the surrounding class Outer (can access fields and methods of surrounding class Outer directly, or by referring to the associated instance of Outer - Outer.this). Within Inner the variable this just refers to the current instance of Inner. "Immutable" means does not change - once initialised, the state (field data) of an immutable object never changes. 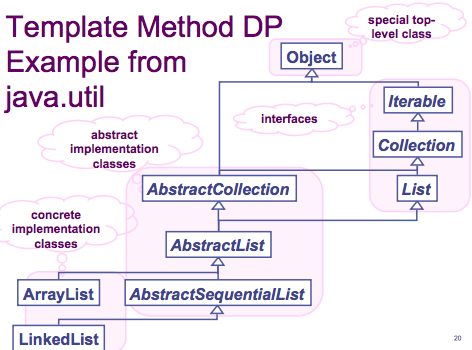 Class and Method objects -getClass() - getDeclaredMethods() etc. The above is only legal iff RHS is a subtype of LHS. Helps in the process of persistence. Generic definitions have types as formal parameters (often called parametric polymorphism). 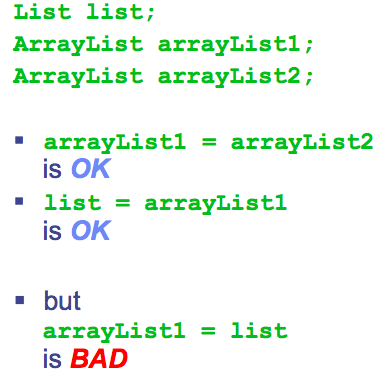 They allow for type abstraction. E.g. 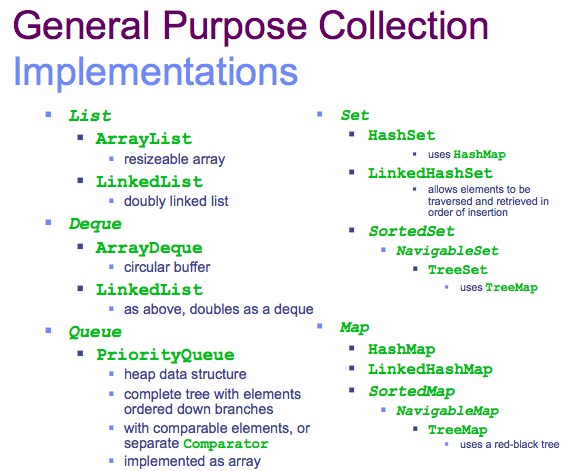 General purpose algorithms are also called "generic"
Generics allows us to do things without typecasting. E.g. Wildcards are anonymous type parameters, only used inside <>. Rather than reinvent the wheel, java has inbuilt ways of storing elements (references to objects, not copies). 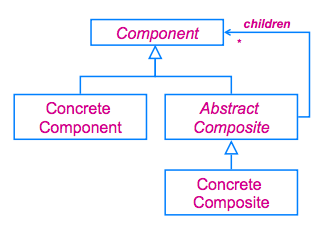 A framework is a collection of related interfaces and classes. Frameworks provide a reusable architecture for typical application problems. Design patterns capture reusable design components and often focus on relationships between interfaces and their possible implementations, solving some design problem. How can you defer the selection of concrete class? 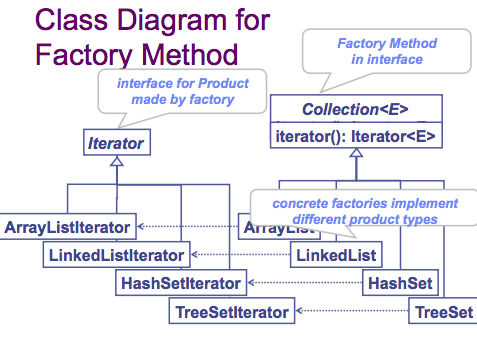 "An example of this would be an abstract factory class DocumentCreator that provides interfaces to create a number of products (e.g. createLetter() and createResume()). The system would have any number of derived concrete versions of the DocumentCreator class like FancyDocumentCreator or ModernDocumentCreator, each with a different implementation of createLetter() and createResume() that would create a corresponding object like FancyLetter or ModernResume. Each of these products is derived from a simple abstract class like Letter or Resume of which the client is aware. The client code would get an appropriate instance of the DocumentCreator and call its factory methods. Each of the resulting objects would be created from the same DocumentCreator implementation and would share a common theme (they would all be fancy or modern objects). The client would need to know how to handle only the abstract Letter or Resume class, not the specific version that it got from the concrete factory"
how to extend existing functionality of an object's methods? Essentially we create a new abstract class that implements the interface. It contains a protected field of type Interface, and its constructor sets this to be the 'backing' object it is passed in. Each method then merely returns backingObject.method(). 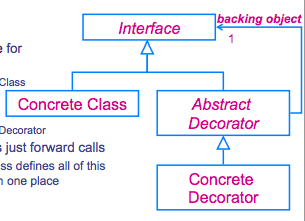 Essentially the Abstract Decorator Class defines all of this forwarding behaviour to the backing object in one place. Other concrete classes may extend this abstract class, calling super() to get the base method call and then altering it themselves. 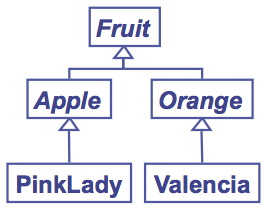 how can you model whole-part hierarchies? If we want to group a whole lot of objects and operate on them as one thing (e.g. be able to move one square or fifty, together, on a graphics simulation) then we can treat them as a 'composite' and do just that. An object is aware of all its dependencies and relations, and informs these whenever there is a change of state (usually through a method call). how can you update an object's dependents? Memoisation is essentially caching results; if a method is 'pure' (stateless - same arg = same result, so its internals do not affect the result) then we can store its results for various args, rather than recompute multiple times. 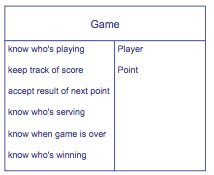 Minimax is a game-play algorithm designed to simulate both players making optimal moves. A game-tree is created, and a 'value' of each leaf-node state is calculated. The value for each level is calculate as either taking the maximum or minimum of its descendants (max if you, min if other player). Alpha beta is minimax with pruning. Branches of a minimax tree can be pruned when it is guaranteed that they will be less optimal. If α is ever >= β, at a you-turn, or β <= α at a them-turn, we prune. Alphabeta has the same worst case as for minmax, in best case, number of states = bd/2 = sqrt of complexity - we can double the depth! (best case arises when best moves are evaluated first, achieves earlier pruning).